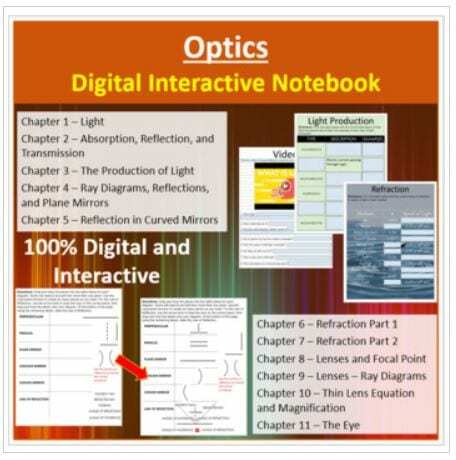 Middle/High School Digital Interactive Notebook – Optics. Designed specifically for the 1:1 classroom utilizing any kind of digital device such as Chromebooks, Cellphones, or Tablets. 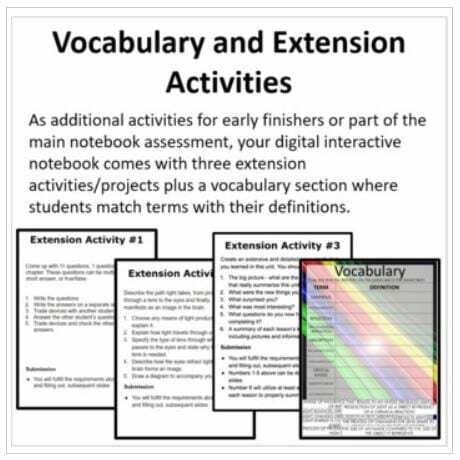 This resource comes packed with 39 engaging activities spread over 54 interactive pages. It covers light to the eye and includes a teacher answer copy. Each page was created to look and feel like a traditional notebook but was designed to take advantage of everything that digital brings. –> I’ve put together a growing bundle for my Digital INB that you can purchase at 50% off. You’ll get immediate access to all my current Digital INBs as well as all the ones I create in the future. 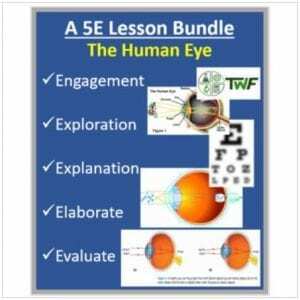 If you’d like to have a look, CLICK HERE <–I feel that the most effective way to see what you’ll receive is to actually access it, play with it, and that way, you’ll know if it’s right for your classroom. 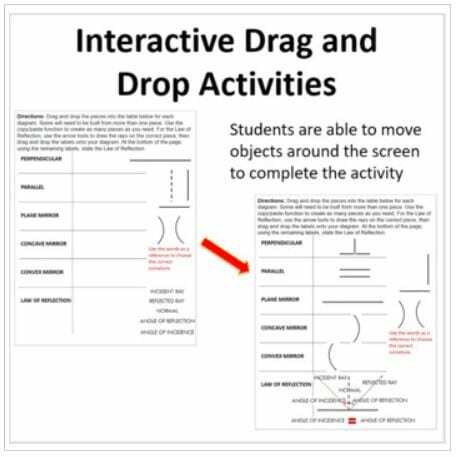 To do that, I’ve made available a sample space interactive notebook you can access by CLICKING HEREThis Digital Interactive Notebook is broken down into 11 chapters. Chapters and activities can easily be removed if they don’t correspond to your curriculum needs. The following chapters are included with your purchase. THEN: Before computers, we used interactive notebooks to engage our students and keep their notebooks organized and accessible. This, however, required a lot of material and the unwelcome task of lugging them all home with you to mark. 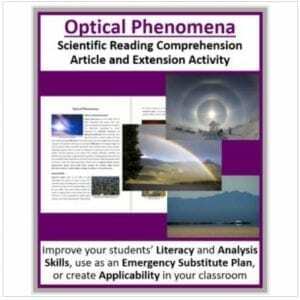 But we used them because they were effective and allowed us to effectively assess our students’ understanding. 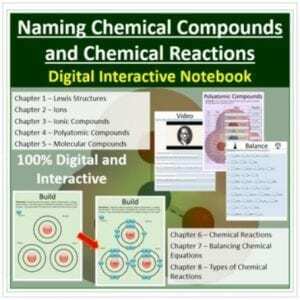 NOW: Why use digital interactive notebooks? As prices decrease, many schools are moving towards a 1:1, computer-student ratio and are becoming digital. The way we teach needs to keep up. You don’t even need a class set of computers; a personal device (cell phone, laptop, tablet, etc.) will work just as well. 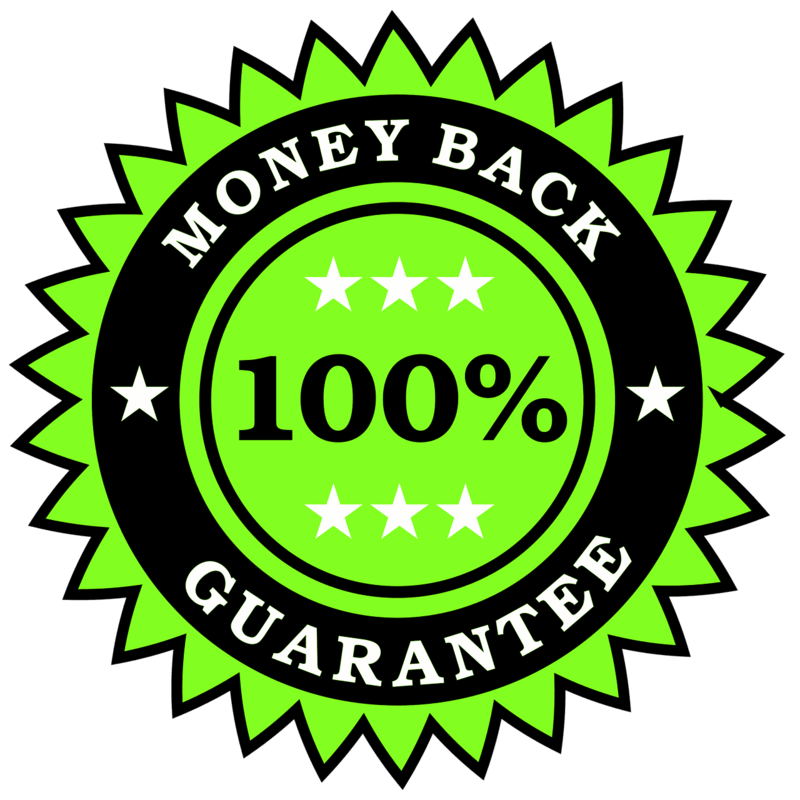 Once you purchase, you’ll get a direct link. 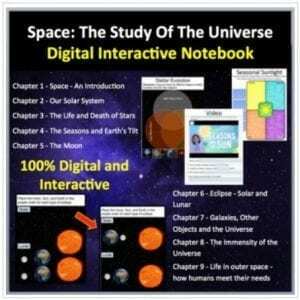 This link will allow you to place your own copy of the digital notebook into your Google Drive folder. From there, simply distribute the file to your students. No notebooks, no glue, no scissors, not even a USB in sight. Everything is stored and can be accessed in the cloud from any computer in the world. If your students go on holiday, they can access it. If they’re sick, they can access it. 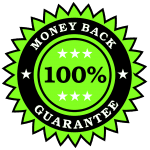 What if my school won’t pay for Google products or access to Google Classroom? No problem. 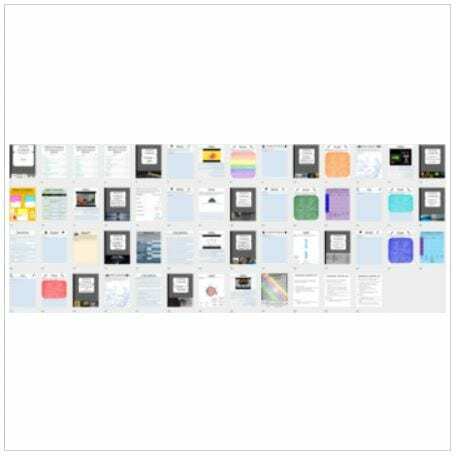 G-Suite, as it’s called, is completely free and includes everything you’ll need to access your digital notebooks.